Bainbridge Island is the perfect destination for lovers of the arts. Bainbridge Island is a thriving arts community, home to wide array of artists, writers, farmers, wineries, and a variety of other local artisans. The community hosts a monthly first Friday art walk, and downtown Winslow is home to a variety of wonderful art galleries, as well as the renowned Bainbridge Island Museum of Art. 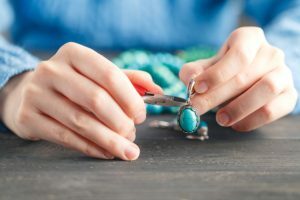 Many of these places, including Bainbridge Island’s newest community addition known as BARN, offer a wonderful selection of workshops and classes throughout the year. Our Inn’s location is unbeatable, located just at the end of Winslow Way, and within easy walking distance Bainbridge’s top attractions. Book your room at our boutique hotel on Bainbridge Island today, and come explore the artistic community of Bainbridge Island with us. Bainbridge Island recently welcomed an incredible new community asset, the Bainbridge Artisan Resource Network, known locally as BARN. Barn is a open intergenerational community hub, built with artists and artisans in mind as a place for people who may not otherwise connect to come together and create. Inside Barn, you’ll find an incredible range of artistic studios, ranging from book binding, fiber, and glass arts, to to kitchen arts, metal fabrication, and media arts–along with a whole lot more. Though BARN does offer and encourage memberships, they aren’t required to attend classes or visit the studios. In fact, classes and workshops at BARN are open to the public. This is but a small selection of the classes coming up at BARN in July. Most of them still have spaces available if you’re interested, and there are plenty more to consider. 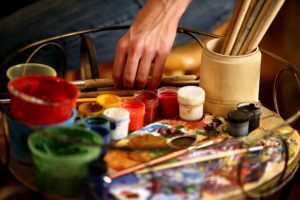 Another wonderful artistic resource on Bainbridge Island is The Art Project, located right downtown Winslow within easy walking distance of The Eagle Harbor Inn. The Art Project is so much more than an incredible gallery space, which showcases a rotating selection of local art. They offer a variety of classes and community outreach programs. The incredible Bainbridge Island Museum of Art also offers a range of community classes and workshops. The best part about visiting Bainbridge Island is enjoying the unique community we have created here, and we hope you take the time to do so the next time you stay at our boutique hotel. Our Boutique Hotel is conveniently located just off Winslow Way, in the historic heart of Bainbridge, and within walking distance to many of Bainbridge Island’s top attractions. Book a room at our Bed and Breakfast today!